See what’s changing on the vehicle-heavy map during Chapter 2: Lightning Strikes. 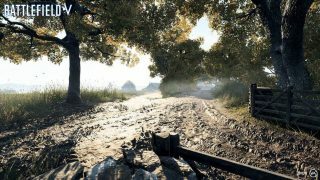 The Panzerstorm map, a haven for tank warfare across a massive terrain of rolling fields, is getting several updates during Chapter 2: Lightning Strikes. Based on feedback from our players and telemetry data collected from thousands of matches, we knew we needed to refine the map, particularly the encounters between soldiers and vehicles. The following changes are designed to balance the soldier-versus-vehicle experience by bolstering the tactical effectiveness of soldiers without compromising the power of vehicles. 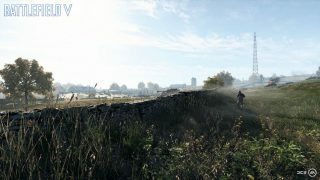 One common criticism of the map, for example, is that players felt too exposed when traveling on foot from Flag to Flag. Or simply, Panzerstorm felt too flat. The updates to address this and other issues are somewhat subtle, so let’s discuss each below. 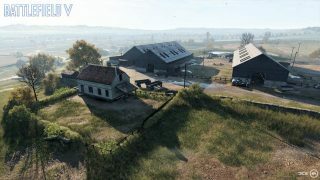 Flag F (the Swine Farm), previously a lone building that could be fortified against enemy advances, is now joined by a set of farm buildings to the west. We found that the point would often melt with fire from a single tank or V1 Rocket, leaving it too difficult to capture or defend without armored support. A lane of oak trees has been added as cover along a common path, too. This route, from the middle of the map leading to the Swine Farm, makes reaching Flag F safer for soldiers. Players previously discouraged by the more than 150 meters of exposure should now be motivated to take Flag F on foot. Also, a few slight elevation changes to the nearby terrain make it possible to maneuver to and from Flag F, using the sides of the road as cover. Hopefully, this means many more ambushes against tanks and squads to come! Tank battles are awesome; stalemates are not. Data showed a reluctance of tank pilots to advance between Farmer’s Row and Central Battery, so we’ve peppered in a few trees to obscure sightlines and help tankers play in a more interesting way. There’s something for soldiers, too. The house on Flag D has been rotated 180 degrees so that players can use the top floor to clear out foes below. We’ve also added ladders to the barn on D as an extra way to monitor the open fields. Every fight is a gamble but getting to the Central Battery from the Dairy Farm and vice versa was more erratic than we hoped for our players. The path was devoid of tactical cover and will now contain a few trees and elevated terrain along common routes to help soldiers determine whether to retreat or advance to a flag without the stress of maneuvering out in the wide open. A change to Flag E and its surroundings was made due to some cheeky play from the Axis side. 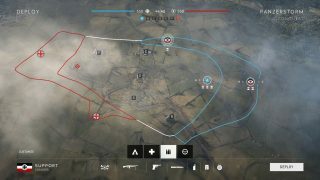 We found a common exploit where Axis players would station tanks on a hill near their infantry HQ and shell a good portion of the map safely from a distance. Bravo, but not intended. Not only have we lowered the elevation where this usually occurred, we added a few trees to obscure the once clear sight lines. 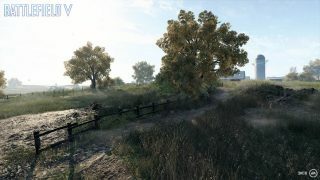 Another subtle but critical change to Panzerstorm is building terrain that functions as defense for infantry moving against tanks along the Riverside Church-to-Forest Cabin route. 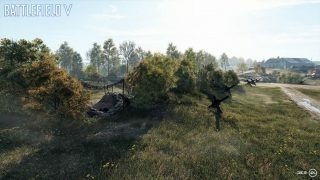 Along with the changes outlined above, we've included lots of ditches and mounds along the edges of fields throughout Panzerstorm to help infantry sneak up on tanks out in the open. This applies to many areas of the map and should balance the overwhelming odds soldiers face against the glut of tanks on the battlefield. A frequent piece of feedback unrelated to tanks was that the flight ceiling – the maximum height to which an aircraft can fly – felt too low. We agree, and so the ceiling has jumped from 300 meters to about 400 meters. We know that changes mean an introduction of new outcomes. Rest assure that we'll keep an eye on the map data to see if we need to make additional changes or tweaks as players jump into the updated Panzerstorm.